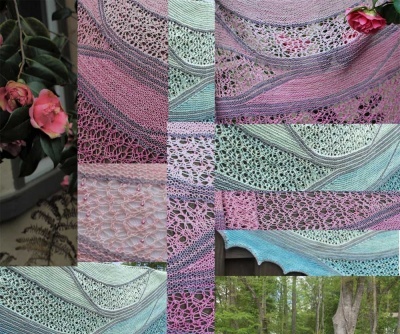 This is the pattern by Barb Pott that first caught my eye and my imagination! 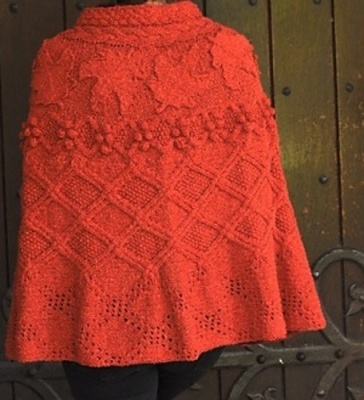 We don't often feature patterns that use worsted weight yarn but this one is so stunning and the embellishments just perfect for its look, we had to contact Barb and see if we could offer it. Can't you just see the "wee folk" of old stories cavorting in and out of the leaves and berries of this wonderful Celtic Maple Cape? Perfect Earth Faire fare indeed. 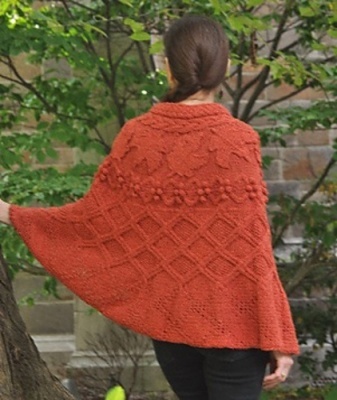 Barb writes: "The top half of this beautiful maple leaf cape is knitted side to side using wrap-and-turn short rows to create a circular shape. 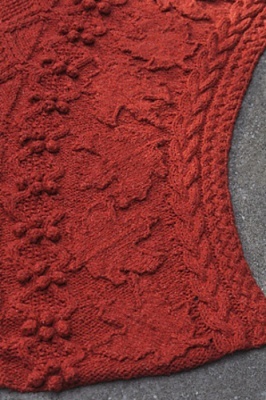 The bottom half is knitted by picking up stitches from the top section and worked top down. No seams to assemble the cape. Each maple leaf is worked separately in continuous rows and sewn on after the cape is completed. Charts and full text (in case you don’t like charts) are given in the pattern. 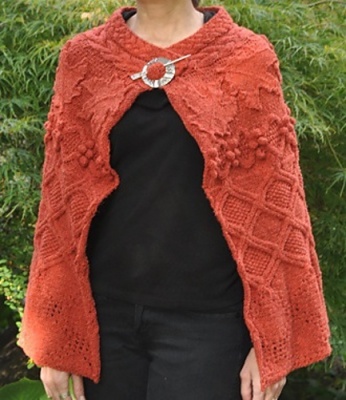 The cape pictured was made with recycled fiber yarn." 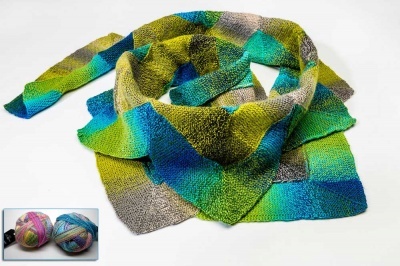 We have some great yarns on their way that we think would be perfect for this, but in the meantime, we didn't want to hold off showing you this beauty. It needs 1520 yards (1390 m) of yarn to make the one size (26" at neck, 56" at bottom edge).